To ask the question, ’How will Antarctica respond to a warmer world?’ is similar to pondering, ’What was the weather like in the United States last century?’ In both cases there are multiple layers of complexity — from persistent regional disparities to variability on a range of timescales — yet this is a question being tackled by Earth scientists around the world, including those in the Antarctic Climate Drivers cluster of ANZICE at the Antarctic Research Centre. Originally from Bavaria, Nancy Bertler came to the ARC in 1999 to undertake a PhD in ice core research. Now, little more than a decade later, she has 10 Antarctic field seasons under her belt and leads the Antarctic Climate Drivers research stream of ANZICE. She also represents New Zealand in the International Trans-Antarctic Scientific Expedition (ITASE) and her work unites Victoria University and GNS Science through the Joint Antarctic Research Institute. In this episode of Journeys to the Ice, Dr. Bertler points out the double-importance of Antarctica in climate change research, namely, its role as an archive of past climate records, and as an agent of dramatic and global environmental change in response to current and future anthropogenic-induced global warming. Nancy’s research is aimed at making sense of a small part of the large range of variability in Antarctic climate. By analysing climate proxies preserved in high resolution ice cores from relatively small glaciers on the Victoria Land coast (see this previous posting/episode for further information), Nancy’s work has shown that episodic cooling in this part of Antarctica is caused by the shifting pathways of Southern Ocean air masses; a climate phenomenon now known to be driven by the El NiÃ±o Southern Oscillation. Beneath the myriad of spatially- and temporally-localised intricacies in Antarctic climate however, are some undeniable and ubiquitous trends. A landmark study published last year by a research group led by Eric Steig of the University of Washington, found that the 50-year record of measurements from Antarctic weather stations (complemented by 30 years of satellite data) shows an Antarctic-wide warming trend, including a particularly marked warming in West Antarctica and the Ross Sea. 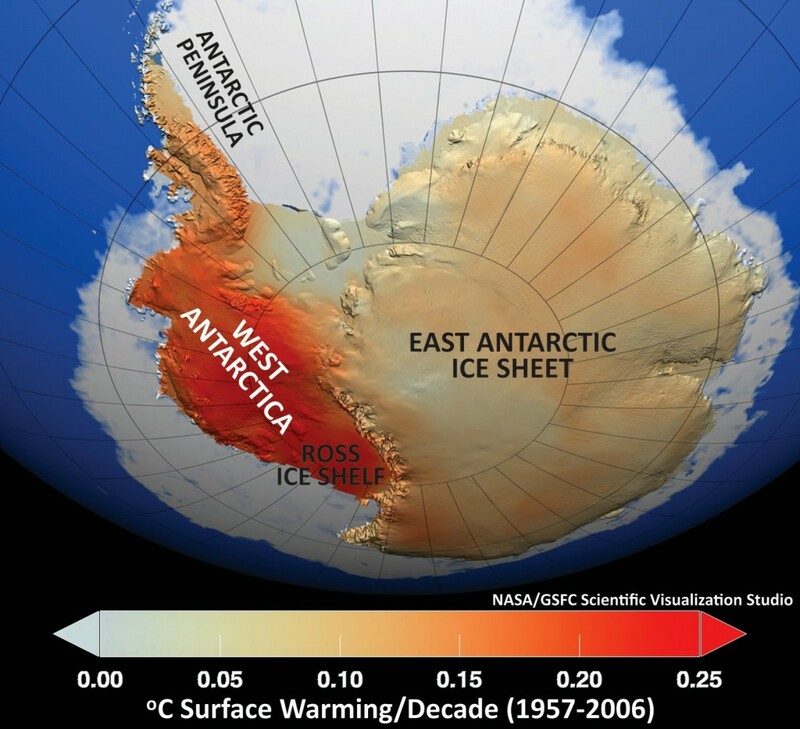 This finding, along with the historically unprecedented collapse of numerous small Antarctic ice shelves in recent decades and the discovery that the Southern Ocean is warming to depth, raises major concern about the stability of the Ross Ice Shelf, another focus of the Antarctic Climate Drivers group. The Ross Ice Shelf, the largest on Earth, separates the West Antarctic Ice Sheet, which is largely grounded below sea level, from the open ocean. The loss of this floating natural barrier would put West Antarctica’s grounded ice in grave danger of melting and/or detaching, either of which would raise global sea level by up to six metres. 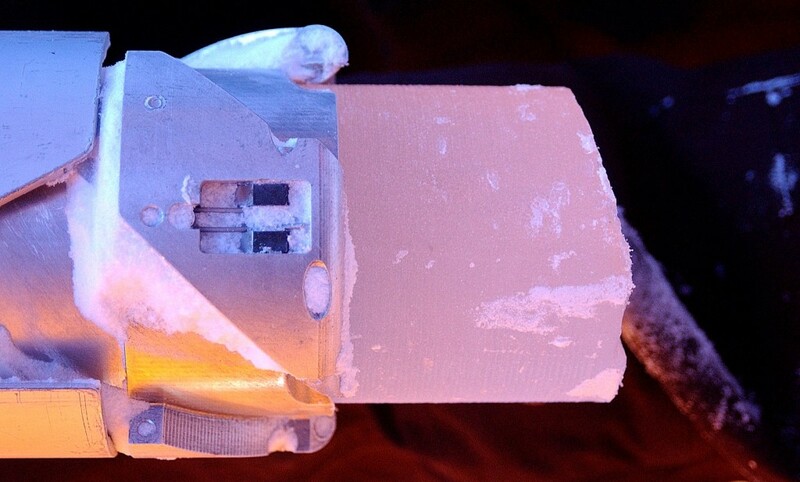 By collecting a 780 metre-long ice core from Roosevelt Island, near the present day seaward edge of the ice shelf, Nancy’s team hopes to reconstruct the retreat of the ice shelf during recent warm extremes and identify the threshold temperatures for complete collapse. That’s a very good point. I recommend the vidcasts from the POLENET project in West Antarctica to anyone seeking further information regarding geophysical monitoring of the crust beneath the West Antarctic Ice Sheet http://www.polenet.org/ Also available for free through the iTunes store. Cheers Kim.